Bullying shouldn’t be just another hurdle to jump as our kids are coming of age. It’s a flaw in our culture that parents should help to extinguish from the earliest onset. Recent data from the U.S. Department of Education’s National Center for Education Statistics (NCES) shows that 22% of students age 12 to 18 reported being bullied in school. That’s a rate of nearly one out of every four students being bullied. According to these same statistics, female students are more likely than males to take the brunt of bullying, both in cases of school bullying and cyberbullying. The highest rates of bullying seemed to occur for kids in sixth through ninth grade, though data found students throughout all of high school suffering from bullying as well. Bullying may take the form of physical bullying, social/verbal abuse, and online harassment (cyber-bullying). Bullying isn’t just uncomfortable; it has real consequences. Bullied children often suffer from self-blame and lower self esteem. Kids who are bullied in person or online also become more likely to get into bad situations, skipping school or getting involved with drugs and alcohol. Additionally, bullied kids are more likely to suffer from depression and they are at an increased risk of suicide. No parent wants to consider these unhealthy effects bullying can have on a child, especially their own. It makes sense that kids get a great foundation for how they will treat others from an early age through the interactions they have with their own families and their close circle of friends, classmates and neighbors. Parents and older siblings can contribute to a child’s temperament through their own actions, whether by modeling kind behavior or using positive reinforcement verbally through praise when warranted. It can also help to expose children to others in need, making efforts to help and making your kids feel responsible in some way for their helpful efforts. Some kids tell their parents when they have a bad day at school or when something is bothering them, but some kids don’t talk about their day at all. Often it is up to you as the parent to watch for the warning signs that your child is being bullied. These signs may surface as unexplainable injuries, recurrent headaches or stomachaches, feigning illness, and lost or destroyed possessions or clothing. 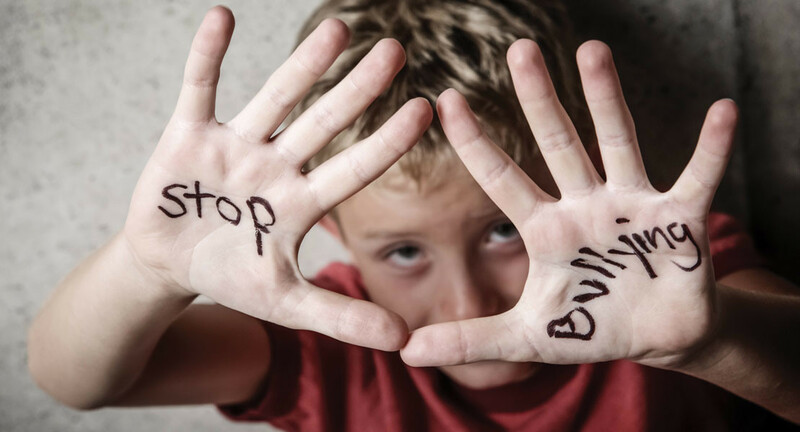 Bullied children may also have changes in appetite or eating habits, trouble sleeping or frequent nightmares, falling grades and poorer performance at school, decreased self esteem, refusal to attend social situations, and self-destructive behavior of great concern. If your kids aren’t showing signs of being bullied themselves, it is still important to observe them and watch for warning signs that they may be bullying others. You may notice your child being physically or verbally aggressive, refusing to take responsibility for his or her actions, and worrying a great deal about popularity and his or her reputation. Kids who bully may also show up with new possessions or extra money unexpectedly, they may have friends who bully, and they may spend more time at the principal’s office or in detention. Identifying these warning signs can help your child to rise above the urge to bully and can help alleviate stress and negative impacts on the victims of bullying. It’s never easy for parents of kids who are being bullied. So many emotions swell, from sadness for your child to rage at the children causing your son or daughter pain and suffering to guilt for feeling as though you somehow could have prevented this. While it is not truly realistic to prevent all bullying, you can help your child move past it more than you might expect. • Encourage your son or daughter to branch out and make new friends. You can help to set up new play dates or group outings to foster these new relationships. StopBullying.gov shares that bullied students having even just one friend feel less vulnerable. • Tell your kids it is okay to talk about it. Whether they come to you, a sibling, a friend, teacher, or guidance counselor, talking about what’s going on can really help. • Remind your child that the bully is the one misbehaving. A lot of times kids feel they have done something wrong themselves to deserve the way they are treated, so be sure to praise your child for his or her own behaviors and for telling you about the situation. • You may want to speak with a teacher or someone at school. If your child hasn’t already done so, it can sometimes help to put the situation on the faculty’s radar. • Bullying is wrong – not funny. It hurts others. • Bullying and cyberbullying can damage a person’s reputation and his or her self esteem. • Bullying can contribute to terrible things, like suicides and school shootings. • Ask your child to put him or herself into the other student’s shoes and imagine how it would feel. • Ask your child if something is bothering him or her. Sometimes bullying is not the root of the problem, but something else may be. Many times, the school bullies will grow up, mature, and cease hurting others in the process. Bullied kids, on the other hand, typically suffer from deep emotional scars – with gnawing emotions that follow them around in some way for the rest of their lives. Current NCES data shows that bullying has finally dropped over the years being studied (since 2005), falling from a rate of 28% of students down to the current 22% of kids being bullied. A drop in the rate of bullying is a great improvement for today’s kids, but it can’t stop there. Now is the time to help all kids to grow up kind, responsible, confident and caring.